Forbidden Cuts is a fresh subsidiary of parent imprint Discotexas. Based in Lisbon, Portugal, the new sub-label has a strict no nonsense dance floor policy when it comes to their releases with tunes that can ‘touch both your heart and your hips’. The multiculturalism of the Portuguese capital city is well documented and influences from all over the world affect the music produced and released there, with particularly strong ties to Africa and Latin America. 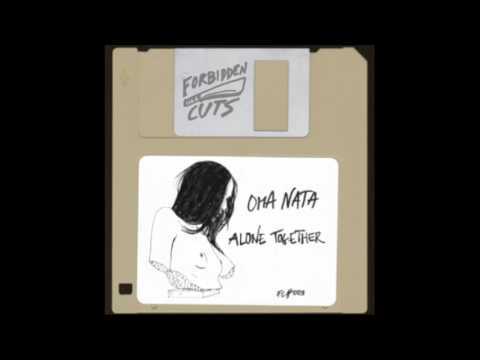 You need to look no further than the first two releases on Forbidden Cuts to feel the effects, as successful EPs by Oma Nata and Felipe Gordon both embrace musical roots from different territories. The third release brings back Hamburg-based, Portuguese mystery kid Oma Nata (soundcloud) for a quick followup EP. Prior to exploring the current ‘moodier, vibrant and exotic sound’ as Oma Nata, the young producer explored various musical genres. The aforementioned international influences are in abundance on this three track EP in the form of samples from rather jazzy sources as well as some Latin American leanings. Our premiere and the title track “Alone Together” takes some moody piano chords and merges them with some shuffling shakers, latin percussion and a steady house beat. Some samba crowd samples appear underneath while twinkling jazzy keys help brighten the mood. A breathy flute takes centre stage as the groove comes into full swing, perfectly blending both jazzy and Brazilian elements into one entwined, coherent sound. Oma Nata is one to watch as the producer’s approach to merging different samples and influences into a single production is refreshing. Don’t forget to check out the other cuts on the EP! The release is available digitally through most online retailers.